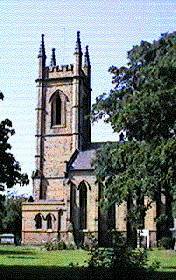 Welcome to the Parish of Christ Church, Wellington in the Diocese of Lichfield. Christ Church is home to a congregation in the liberal Catholic tradition of the Church of England. Our worship includes both traditional and modern styles. The Parish is a Fair Trade Parish. To look at the various aspects of our church just select from the links on the left. We hope to keep these pages up to date so if you have enjoyed your visit why not visit us again in the near future. Better still, if you are ever in the Wellington area why not come to one of our services. On that date the Worship page was updated. If you have any problems with these pages, please contact the webmaster.